Why do we track certain metrics with a Sleep Score? It’s because a good night’s rest goes way beyond the number most people focus on—namely, the total amount you sleep. Interruptions, time in bed before sleep, time to get out of bed in the morning, and other factors can affect your Sleep Score. And when we look at the data, it seems that quality sleep and your sleep habits can affect weight, activity levels, and even your blood pressure. Learn more about how better sleep can improve your health—and see how your nightly routine stacks up. We know that quality sleep is linked to a host of benefits, including healthier weight, increased activity, and lower blood pressure. 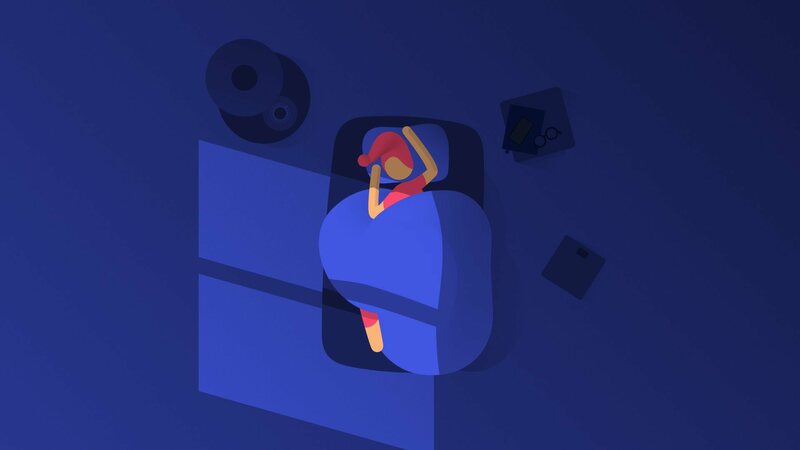 How did better sleep impact the health of our users? Here are the surprising results. How long do you stay asleep? How much time do you spend in bed not sleeping? According to our data, a good night’s sleep can help you reach your health goals. Trying to attain a healthy weight? Sleep more than 7 hours, aim for fewer than 2 interruptions per night, and sleep when you’re in bed. Go to bed (and wake up!) earlier, sleep for less than 9 hours, aim for fewer than 2 interruptions, and—again—get some sleep while you’re in bed! Aiming for better blood-pressure levels? Go to bed before midnight, sleep more than 7 hours, and aim for fewer than 2 interruptions. * Based on systolic and diastolic blood pressure. How do your sleep habits compare? In our study, we compared the sleep habits of people all over the world. We discovered that overall, participants in Britain had the best overall sleep score. In general, women had higher sleep scores than men. How does your nighttime routine stack up? Use the dropdown menus below to compare your sleep habits with those in other age ranges, countries, and more. For the analysis of the correlation between sleep duration and weight, activity, and blood pressure, data collected throughout 2017 from Nokia sleep trackers (including wrist-worn and under the bed trackers), scales, activity trackers, and blood pressure monitors were used. Data from approximately 300,000, 400,000, and 70,000 users was used for sleep vs weight, activity, and blood pressure respectively. Users with a BMI between 18.5 and 25 were classified as having a healthy weight. Users with a 2017 average activity level of more than 8000 steps per day were classified as active while users with a 2017 average of less than 4000 steps a day were classified as sedentary. Users with a systolic blood pressure between 90 and 120 and a diastolic blood pressure between 60 and 80 were classified as healthy. The interactive sleep map contains 567 combinations of user-groups using the filters. For each user-group a maximum of 10,000 users were randomly selected from a cohort of approximately 280,000 Nokia sleep tracker users. Only users with 10 or more nights recorded in 2017 were included. The grey lines are the average 2017 values for a random selection of 250 users per user-group and give an indication of the spread of each sleep characteristic. The average values on the sleep map represent the average of the values for all users in the user-group. The number of users per user-group is indicated on the map.